The Los Angeles County Museum of Art (LACMA) is moving to expand the number of facilities it operates with not one, but two new potential sites in South Los Angeles. The New York Times reports, that the institution is looking to potentially expand to a 80,000-square-foot industrial building in South Los Angeles Wetlands Park and to a vacant site located in the 104-acre Earvin “Magic” Johnson Park in an effort to boost community outreach and make better use of resources as the organization plans a controversial $600 million expansion of its main campus. LACMA is currently working to acquire rights to use both sites, with the Wetlands Park location being further along in the approval process. Plans for that site will come up for consideration later this week by the Los Angeles City Council, which expected to approve a 35-year lease on the site so that LACMA can initiate its adaptive reuse project. The industrial structure LACMA intends to occupy dates to 1911 and was formerly used to store trains and buses that served the local transportation system. The single-story beaux-arts structure has sat empty for decades, however, even as the former rail yards surrounding it were converted into wetlands by planning and design firm Psomas. Plans released during the initial completion of the park’s water retention and landscaped areas in 2014 called for repurposing the structure into a rail museum, a plan that has since given way to LACMA’s potential reuse. The renovations are expected to cost between $25 million and $30 million, Govan told The New York Times. The museum—which receives roughly 25 percent of its funding from Los Angeles County—is also looking at a site six miles to the south of the park for a potential third location. Those facilities would occupy the site of the former Ujima Village housing project, which was demolished in 2009 due to contamination issues at the site. The park sits near the Blue Line light rail line and within walking distance of the Watts Towers arts complex. The potential ground-up development would present an opportunity for the museum to build a new structure in the park that could potentially accommodate LACMA’s off-site art storage facilities. The park is currently in the midst of a $50-million, decade-long renovation and remediation effort and local officials are reportedly receptive to LACMA’s plans. Regarding the two-site plan, Govan told The New York Times, “I can tell you now, it’s not an either-or. If we get both spaces, I think that it will be even easier to make each work. Each property offers very different advantages in completely different neighborhoods.” A timeline for the second site has not been announced. The location expansions would add another layer to the changing dynamic in the South Los Angeles region, which has slowly begun to gentrify in anticipation of the new Crenshaw Line light rail route and as high housing costs elsewhere push formerly-reluctant homebuyers into the area. 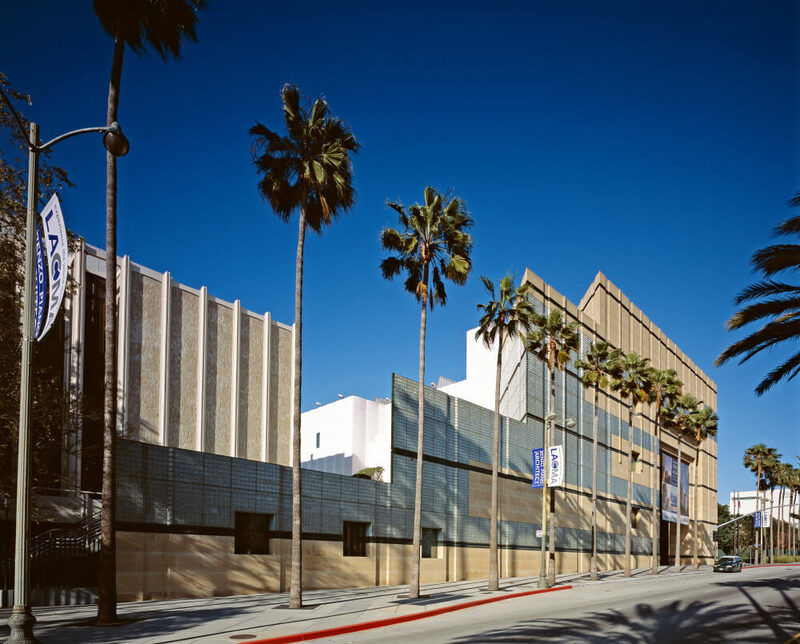 As far as institutional players go, LACMA will be joined in the area by the Los Angeles Philharmonic, which is in the process of creating a satellite facility in nearby Inglewood designed by Frank Gehry. Gehry’s plans for the Youth Orchestra of Los Angeles (YOLA) will repurpose an existing 17,000-square-foot facility into a new community center that will provide performance and rehearsal spaces for up to 500 young musicians. Designs for the complex have not been unveiled, but the new YOLA facilities are expected to open in 2022.